2019 Parenteral Drug Association (PDA) Biopharmaceuticals Week is organized by Parenteral Drug Association (PDA) and will be held from May 06 - 10, 2019 at Hilton Long Beach, Long Beach, California, United States of America. The target audience for this medical event is Healthcare Providers. Course Description: Topics at this weeklong series of meetings will touch on biosimilars, cell and gene therapies, vaccines, viral contamination and biopharmaceutical manufacturing. PDA has released a call for abstracts for anyone interested in speaking or presenting a poster. Additional details will be posted as soon as they are available. National Association of Nutrition and Aging Services Programs (NANASP) 2019 Annual Training Conference is organized by National Association of Nutrition and Aging Services Programs (NANASP) and will be held from May 15 - 17, 2019 at The Queen Mary, Long Beach, California, United States of America. The target audience for this medical event is Agency directors, nutritionists and registered dietitians, case managers, program managers, event planners, lifelong learning instructors, art teachers, intergenerational programming facilitators, health promotion trainers, physical health coaches, development and volunteer directors from private, state and area agencies of all sizes including local providers, governmental groups and nonprofits from all over the country will be in attendance. These members are directly responsible for purchasing: packaging products; raw foods; catering services; travel packages, marketing services, senior health equipment, program packages, art supplies, personal emergency response systems; audio and A/V systems for events, personal emergency response systems; communication systems for volunteers and drivers; insurance; delivery vehicles; kitchen equipment; specialized food products; shelf stable meals; insulated bags; pre-portioned meals (frozen, ethnic, therapeutic); uniforms and clothing, meal transporters, computer software; nutritional supplements; paper products; cleaning products; consulting services; non-medical in-home care; home health services; care management; health information services; caregivers assistance; volunteer gifts; industry media; employment and training services and more. Conference Description: Conference Topics: Nutrition Components For Home-Delivered And Congregate Meal Preparation; Building Successful Partnerships; Community Visibility, Support, And Leadership; Board Development; Resource Development; Fundraising And Volunteer Management; Marketing And Image; Administration And Governance; And Innovative Programs And Services Such As Intergenerational, Technology, Evidence-Based Health And Wellness, Multi-Cultural, Recreational, Educational, And Transportation Additional details will be posted as soon as they are available. Awesome Review Certification and Recertification Course is organized by Awesome Review Inc and will be held from Jun 21 - 30, 2019 at Holiday Inn Long Beach Airport, Long Beach, California, United States Of America. Target Audience for this medical event is physicians, physician assistants, and nurse practitioners. This CME Conference has been approved for a maximum of 63.00 Contact Hours. Educational Objectives: After completing this activity, the participant should be better able to: • Recognize and apply the most current scientific, clinical, diagnostic and therapeutic advances • List and prescribe generic medicine to treat disease with increased national health care (i.e. Diabetes) • Describe the pathophysiology and correlate with the clinical presentation for IM disorders Prepare for ABIM Certification and Recertification exam. NOTE: This Conference will Held at Jun 21-23 and 28-30, 2019. Additional details will be posted as soon as they are available. I.V. Sedation Training for Dentists is organized by Conscious Sedation Consulting and will be held from Jul 12 - 28, 2019 at 4M Institute World Headquarters - Advanced Dental Courses, Long Beach, California, United States of America. Description: This IV sedation dentistry course is a comprehensive “mini-residency” and includes a minimum of 60 hours of didactic / classroom education and direct participation in administering IV sedation to 20 – 30 clinical dental cases while being observed. Advanced training in airway management and medical emergencies included. Total CE credits will be approximately 100 hours. This course is designed to prepare the dentist to incorporate intravenous sedation into the dental practice. Objectives: • To prepare the dentist to incorporate safe IV sedation administration into practice • Properly access and obtain appropriate medical history and assessment of patients to determine suitability of moderate sedation • Understand the regulations and requirements of state legislation / dental boards, to adhere to national standards and guidelines • To explain and understand agonist-antagonist effects and pharmacokinetic properties of commonly used sedative agents • To recognize and react to medical emergencies while providing leadership and direction to others involved in resuscitative efforts • Manage the airway using basic and advanced equipment and techniques • Effectively utilize monitoring, pharmaceuticals and rescue equipment Program is over 3 sessions as follows: • 1 July 12, 13 & 14 (Didactic) • 2 July 19, 20 & 21 (Didactic) • 3 July 26, 27 & 28 (Clinical) Prerequisites: The participant must hold a dental or medical degree, must be licensed to practice dentistry or medicine in a given state and have current malpractice insurance. Current BCLS certification must be obtained prior to the course. Please bring proof of malpractice insurance coverage to first meeting. Additional details will be posted as soon as they are available. Successful Implementation of Dental Sleep Medicine Course is organized by Nierman Practice Management (NPM) and will be held from Sep 13 - 14, 2019 at Hilton Long Beach, Long Beach, California, United States of America. This Course has been approved for a maximum of 16 CE Credits. Dental Sleep Medicine Course Description Learn from industry leaders the blueprints for Dental Sleep Medicine success. This comprehensive dental sleep medicine CE course will help you and your team implement obstructive sleep apnea (OSA) treatment into your dental practice. 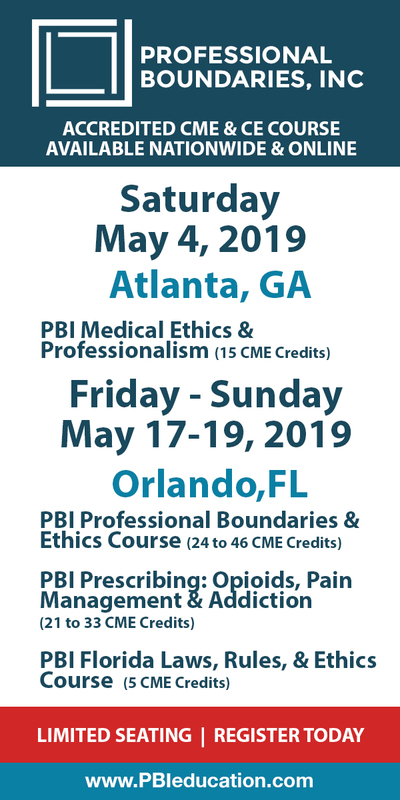 From the basics of dental sleep medicine terminology to the clinical treatment protocol, and everything in between, including hands-on impression and bite taking, communication skills, & dental sleep medical billing, your dental practice will be prepared to go back on Monday and begin taking the steps to building a successful dental sleep medicine practice. 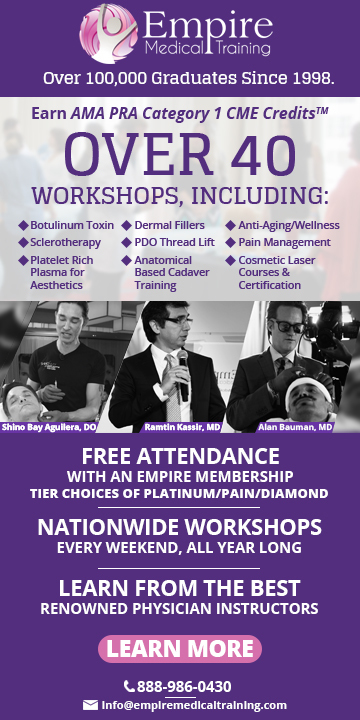 Learn from some of the most experienced and recognized sleep medicine dentists in the industry.Gain the clinical skills and learn the effective protocols for dental sleep medicine: • Screening for Obstructive Sleep Apnea in your Dental Practice • Sleep Studies: PSG’s & Home Sleep Testing • Treatment for Obstructive Sleep Apnea with Oral Appliance Therapy • Physician Referrals: Building Referral Networks with the Sleep Community • Dental Sleep Medicine Marketing • Dental Sleep Medicine Billing: Dental-Medical Cross Coding for Sleep Apnea This course guides dental practices on the right path towards success in dental sleep medicine and provides the resources and guidance necessary to stay on track in their Dental Sleep Medicine journey. Additional details will be posted as soon as they are available..
Level 2 Diploma Course in Aesthetic Medicine is organized by American Academy of Aesthetic Medicine (AAAM) and will be held from Nov 04 - 08, 2019 at Long Beach, California, United States of America. This CME Conference has been approved for a maximum of 35 AMA PRA Category 1 Credits™. Additional details will be posted as soon as they are available. Level 1 Certificate Course in Aesthetic Medicine is organized by American Academy of Aesthetic Medicine (AAAM) and will be held from Nov 06 - 08, 2019 at Long Beach, California, United States of America. This CME Conference has been approved for a maximum of 21 AMA PRA Category 1 Credits™. Additional details will be posted as soon as they are available. 16th American Academy of Aesthetic Medicine (AAAM) Congress is organized by American Academy of Aesthetic Medicine (AAAM) and will be held from Nov 08 - 10, 2019 at Las Vegas, Nevada, United States of America. Additional details will be posted as soon as they are available. Level 1 Certificate Course in Aesthetic Medicine for NP, PA and RN is organized by American Academy of Aesthetic Medicine (AAAM) and will be held from Nov 08 - 09, 2019 at Long Beach, California, United States of America. Additional details will be posted as soon as they are available.